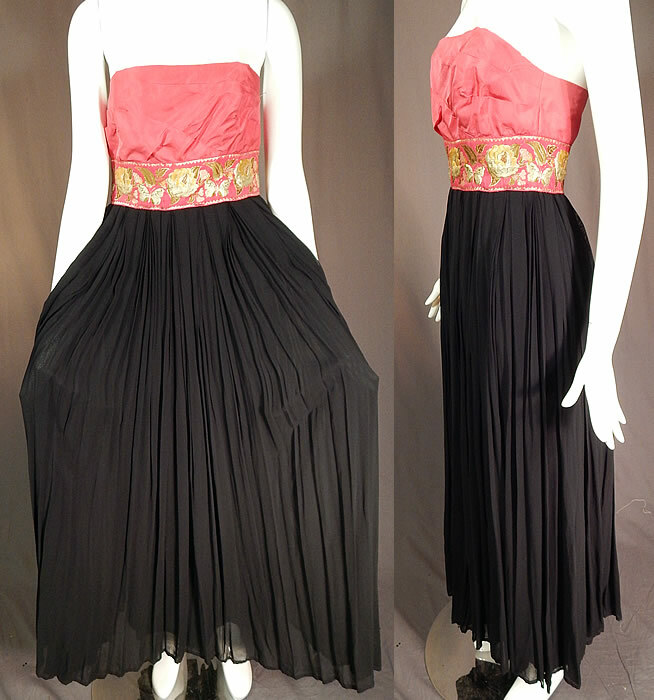 This vintage pink and black pleated chiffon strapless evening gown cocktail dress dates from the 1950s. 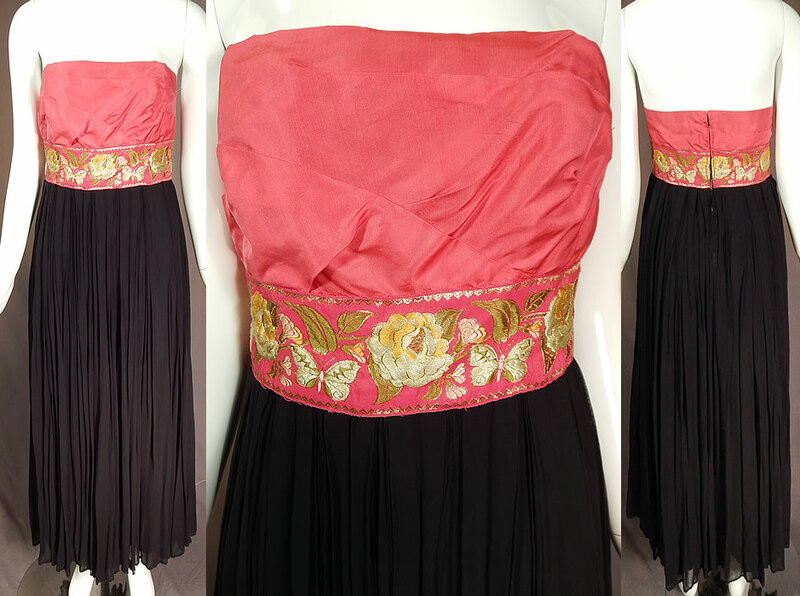 It is made of a bright pink crepe de chine silk fabric top and sheer black pleated chiffon fabric skirt. 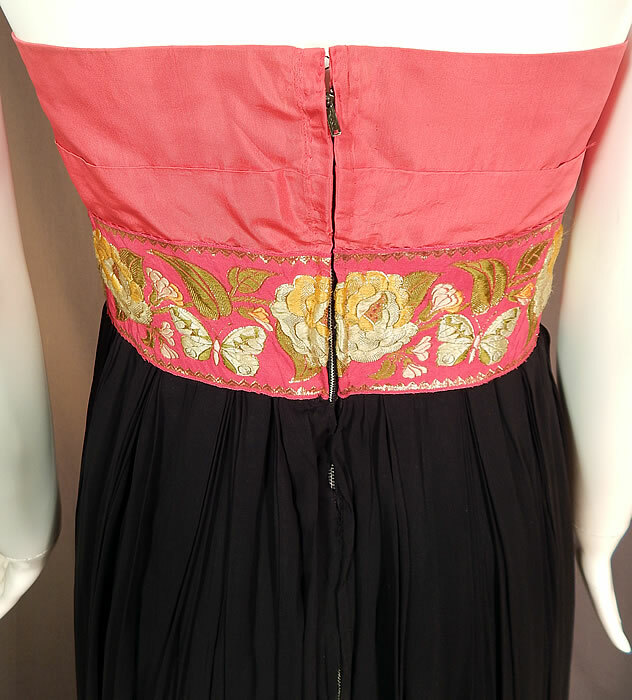 This stunning strapless evening gown cocktail dress is a long floor length, with a fitted overlapping strapless bodice top, a floral butterfly gold lamé pink silk brocade ribbon sash waist, long flowing skirt with black satin lining underneath, back zipper closure and is fully lined with stays boning sewn inside the bodice. 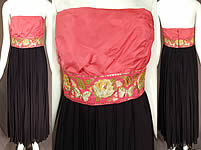 The dress measures 47 inches long, with a 30 inch bust and 24 inch waist. It is in excellent condition. This is truly a wonderful piece of wearable art!